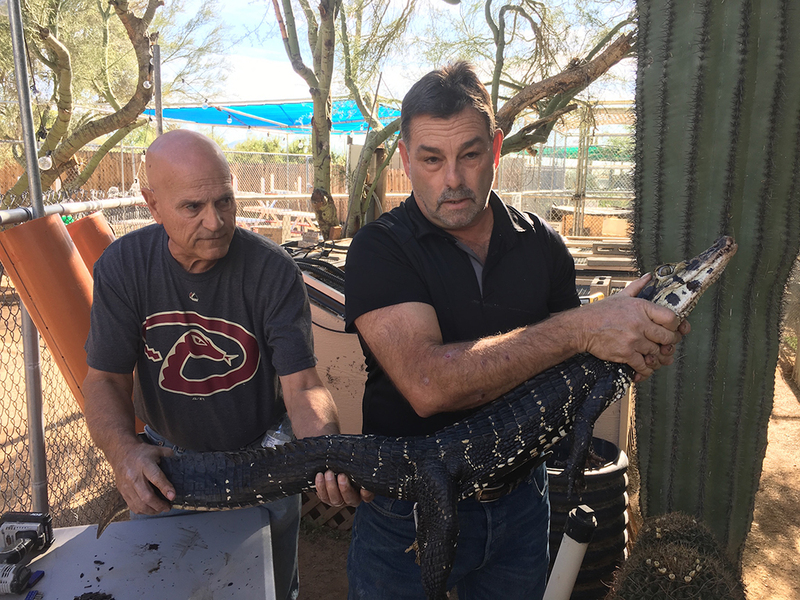 SCOTTSDALE, AZ — Ten black caimans, the first of their species to come to the U.S. since 1975, have just arrived at the Phoenix Herpetological Society (PHS) in Scottsdale. The 10 new black caimans arrived at PHS yesterday, coming from the Aalborg Zoo in Denmark. 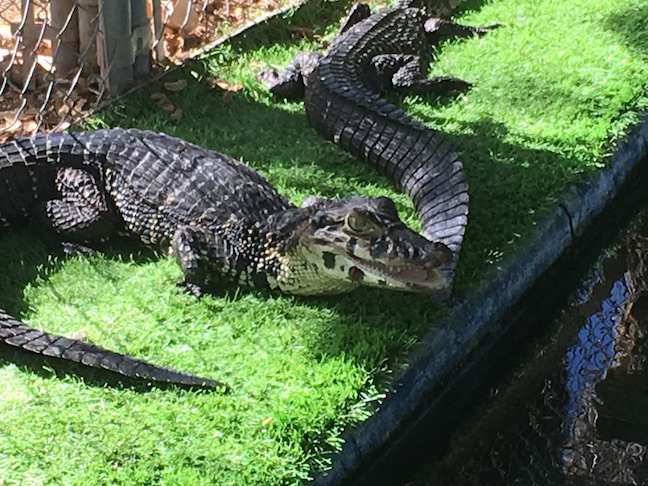 Until now, there were six black caimans registered in the U.S., one of which resides at PHS and is the oldest one in captivity in the world. All six of those caimans are too old to breed, but the new arrivals will be used for breeding once they are mature enough. Eight of the newly arrived reptiles were born in 2013 and the other two were born in 2015. PHS has the second-largest collection of crocodilians — which include crocodiles, alligators and caimans — in the United States, with 21 of the world’s 24 species in residence. Tours of the sanctuary are available by reservation, by going to www.phoenixherp.com, and clicking on the Visit tab, or calling PHS at 480-513-4377 (HERP), and selecting option 4. • The black caiman (Melanosuchus niger) resides in northern South America and can be found over much of the Amazon River basin in slow-moving rivers, streams, lakes and flooded wetlands. • Once hunted nearly to extinction in the Brazilian Amazon, the black caiman is among the largest and least known of the crocodile family. • Adult males often grow longer than 13 feet. • This species has not been imported since the implementation of the CITES (Convention of International Trade In Endangered Species) Act in 1975, according to the U.S. Fish and Wildlife Service. Phoenix Herpetological Society (PHS) is a nonprofit 501(c)(3) organization dedicated to the rehabilitation of rescued reptiles and educating the public about living with these amazing creatures. PHS was founded in 2001, and operates a sanctuary on more than two acres of privately owned land in north Scottsdale. PHS is home to nearly 1700 native and exotic reptiles, many of them endangered and participants in captive breeding repopulation programs. The sanctuary offers unique opportunities to get close to and, in some cases, interact with snakes, lizards, turtles and tortoises from the Desert Southwest and around the world. Education programs include day camps, school and community presentations and tours.